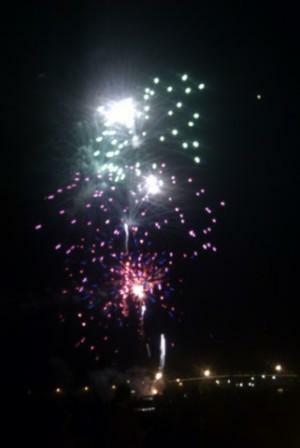 My family stayed in Hobart over the New Year period in 2010. 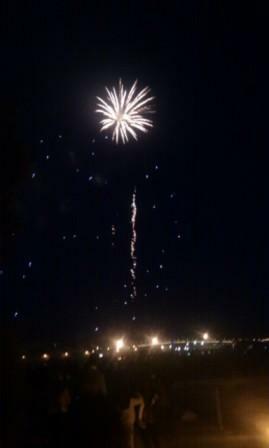 We had a great time visiting the The Taste Festival, watching the boats arrive from the Sydney Hobart Yacht Race, and watching the New Years’ Eve fireworks over the Derwent River. We also took a day trip to Port Arthur Historic Site, but that is the subject of a separate story. Hobart was our second base that we used to explore Tasmania. Our first exploration base was Launceston. When it was time to leave Launceston, we travelled from Launceston to Hobart in a leisurely 3.5 hours. You could do this trip in a little over two hours non-stop, but we took a detour into Oatlands for breakfast. On arriving at Hobart, we checked in to our accommodation at Mantra One Sandy Bay Road. 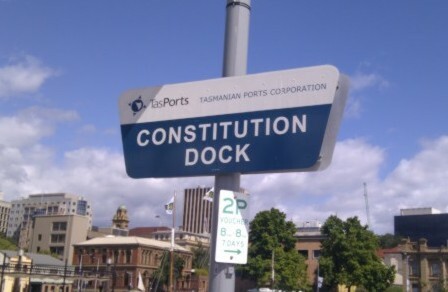 The accommodation was spacious, but more importantly, within easy walking distance of The Taste Festival, Constitution Dock and the Hobart CBD — even for the little legs of my girls, who were six and three years old. 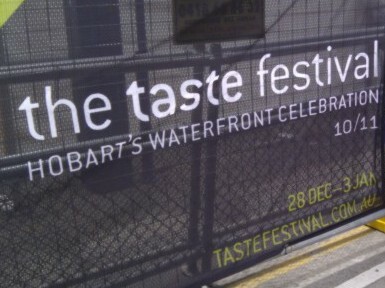 With a name like The Taste Festival, you would think that we would have enjoyed some wonderful local produce. However, the area that the food stalls were in was so crowded and the tables so packed, that we ventured in there only once as a family. We then resorted to sending in one person to forage for food to bring it outside and away from the activity. As part of The Taste Festival, there was a great area for kids. 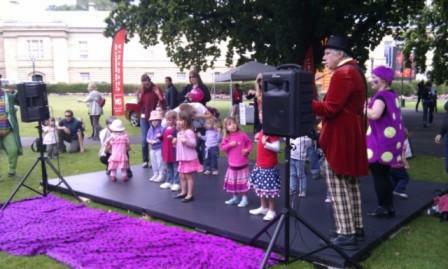 The kids area included free interactive performances aimed at children, as well as a few kids’ rides. 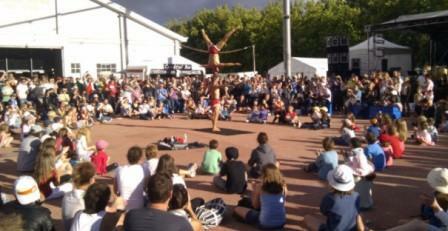 The Taste Festival featured some wonderful street performers — they are buskers, so will ask for money at the end of their show. The white building at the left of the following photo is where the food stalls were. 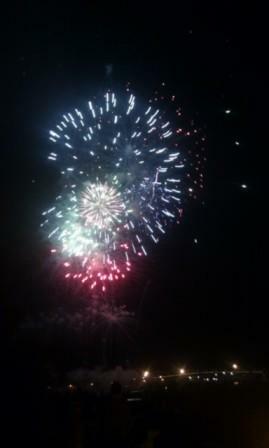 There were night time shows as well, but we did not venture down to see them. Entry to this area was free during the day, but at night was gated and entry was by paid ticket only. 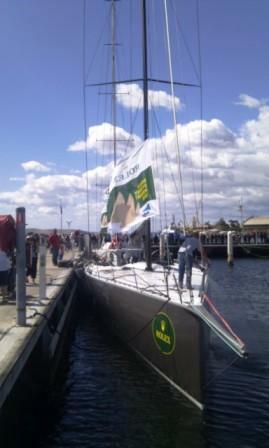 We had timed our stay in Hobart with the arrival of the Sydney Hobart Yacht Race. We watched the winner of the race cross the finish line. Our accommodation was a five minute walk to Constitution Dock where the Sydney to Hobart racing boats berthed. 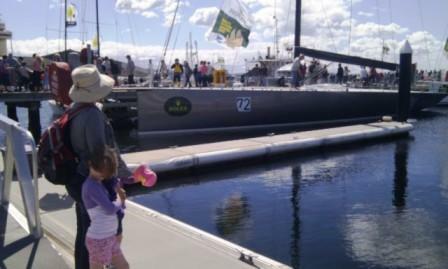 We were able to walk onto the dock to see the racing boats at close quarters. Our accommodation at Mantra One Sandy Bay Road was only a few minutes walk away from the waterfront at Hobart, where there were fireworks on New Year’s Eve. 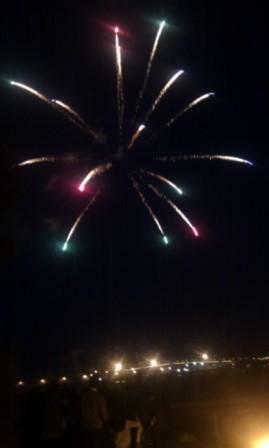 The following photos are of the early fireworks for children. 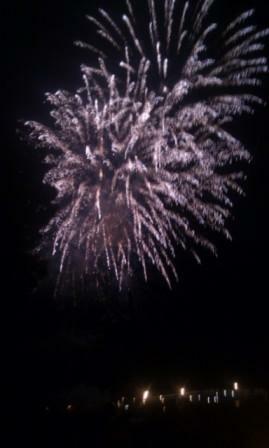 There were more fireworks at midnight for those old enough to stay up that late!